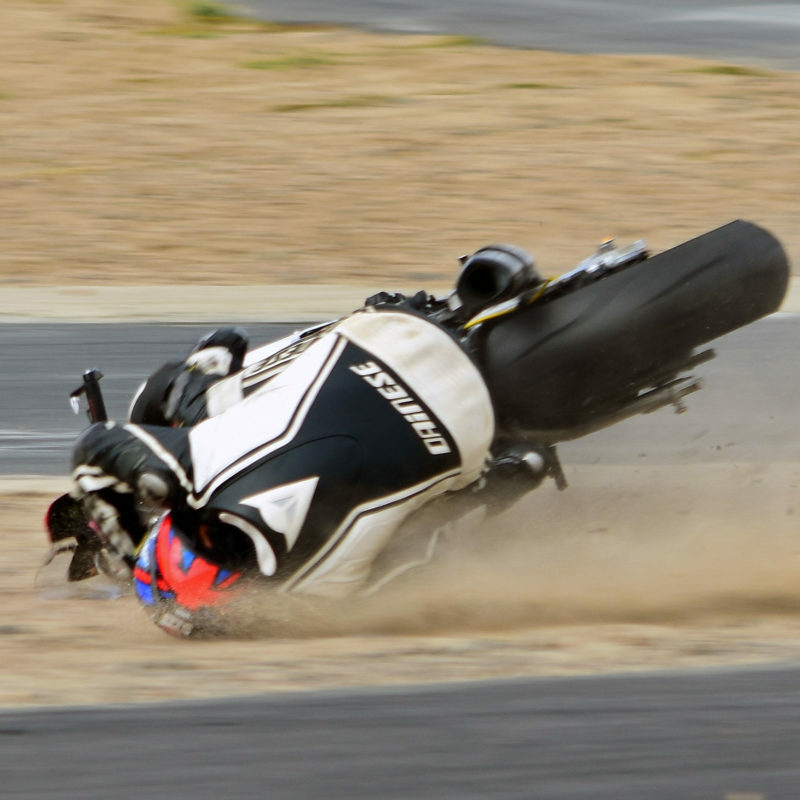 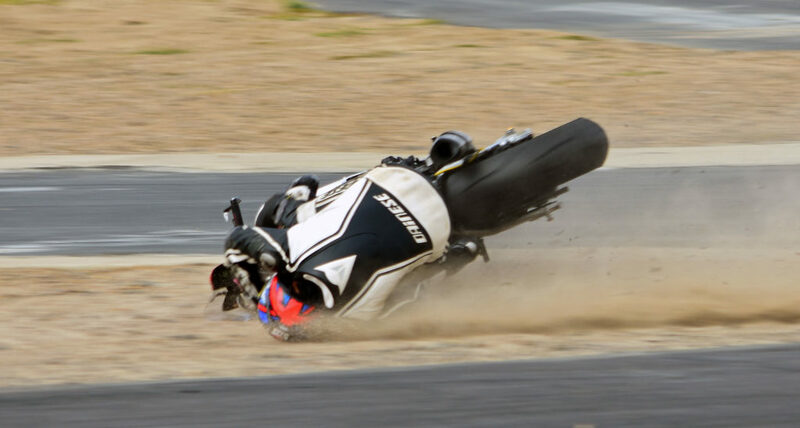 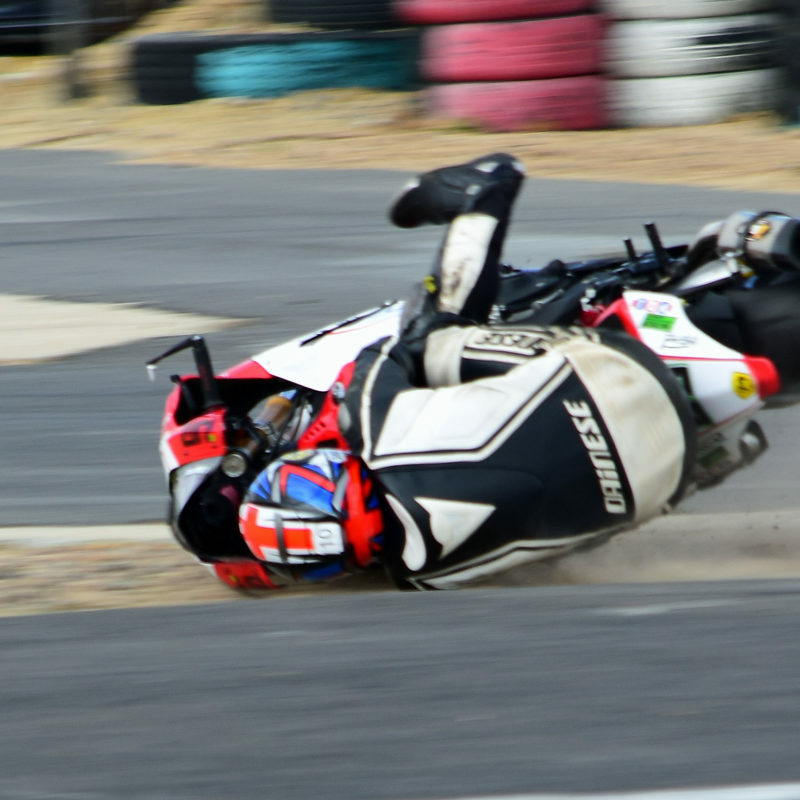 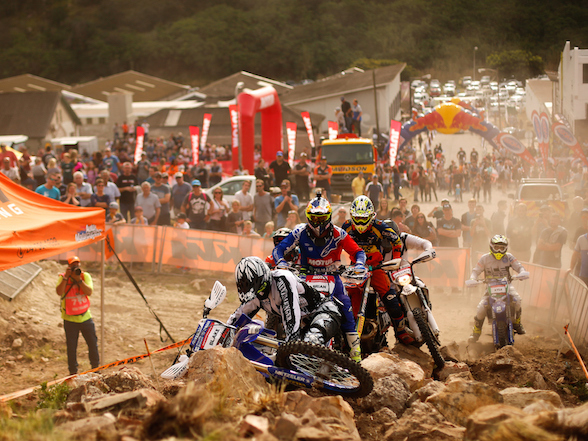 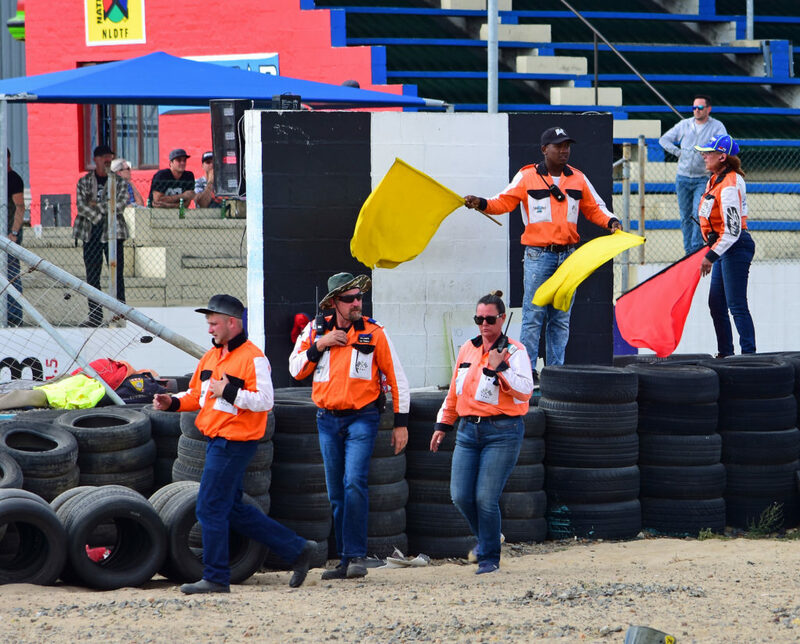 These are pics from last week’s SuperGP round at the Killarney circuit in Cape Town. 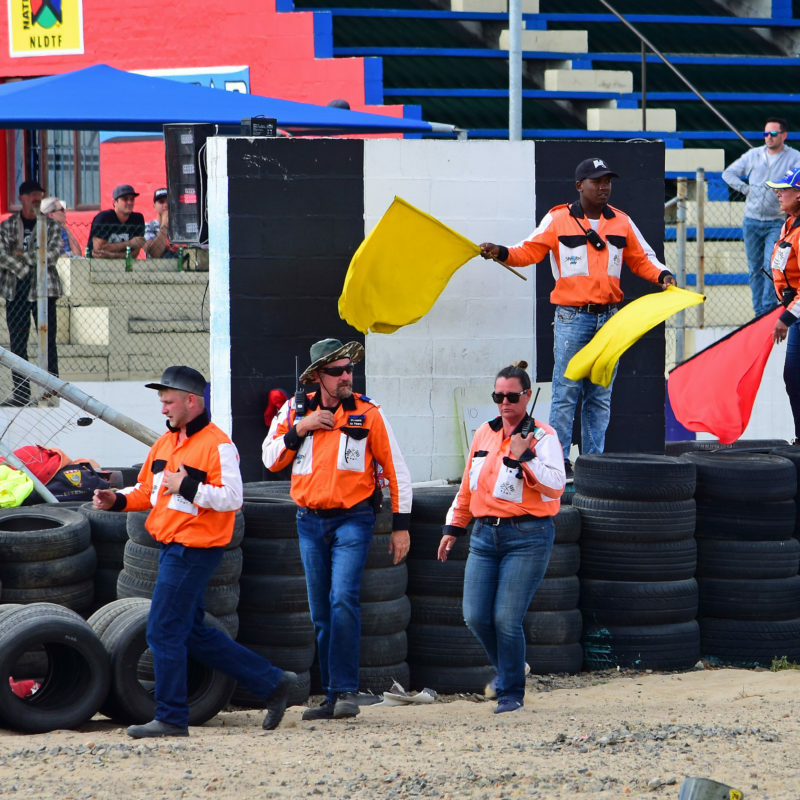 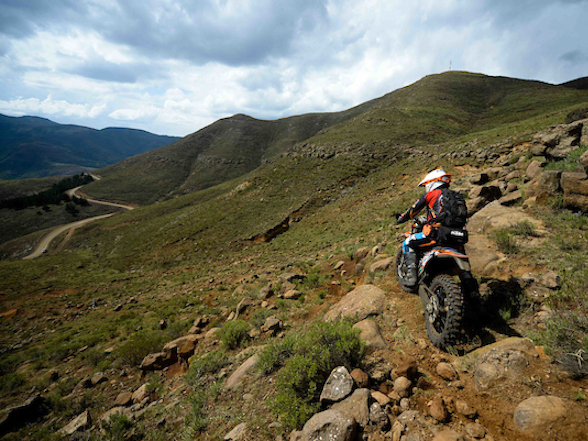 They are of competitor Morne Geldenhuys who was putting in a strong showing in the main race before going down at turn one. 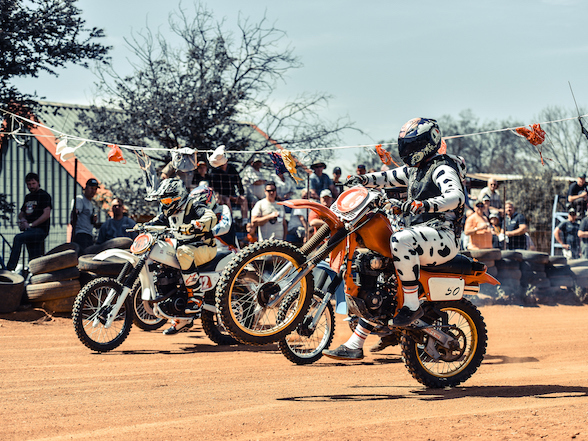 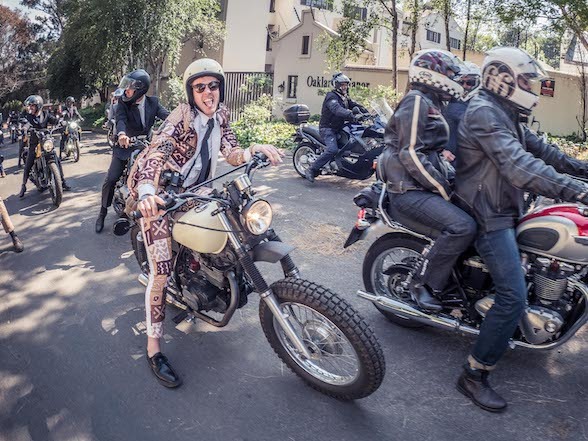 At the time, the ever-smiling, ace photographer Eugene Liebenberg was on hand to snap away, although the good natured photographer says he took no pleasure in it, and still feels ill when looking at them. 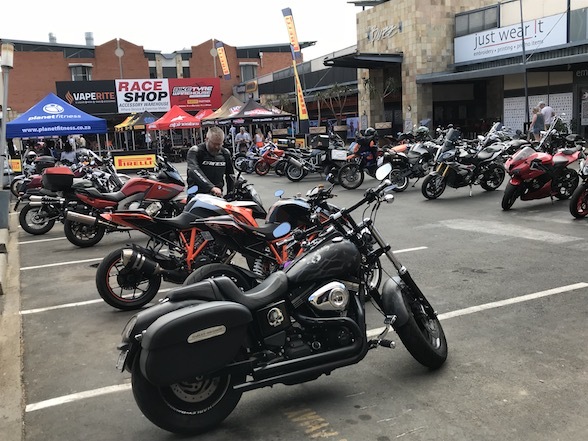 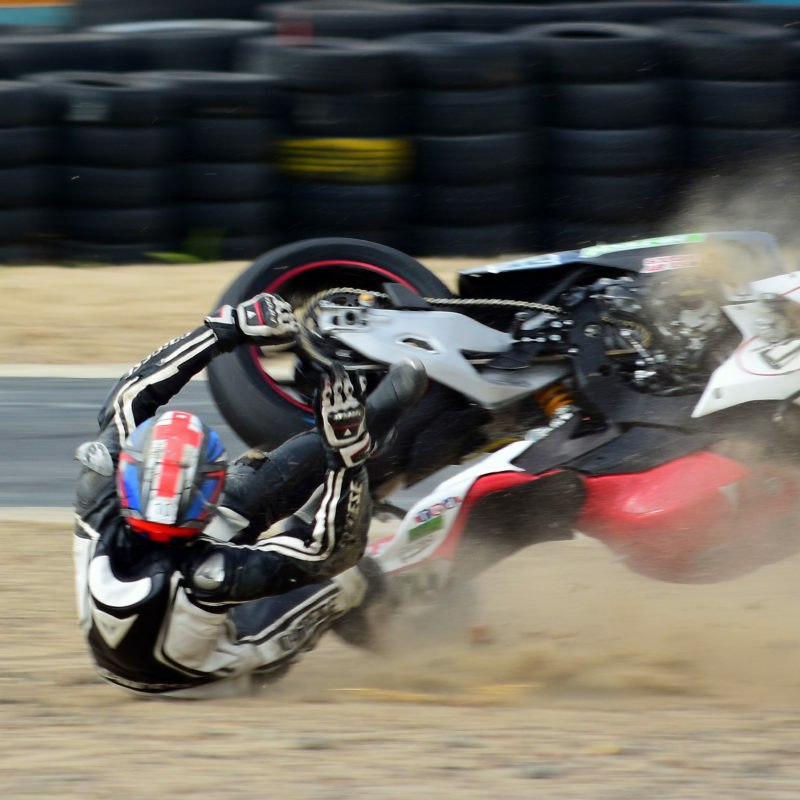 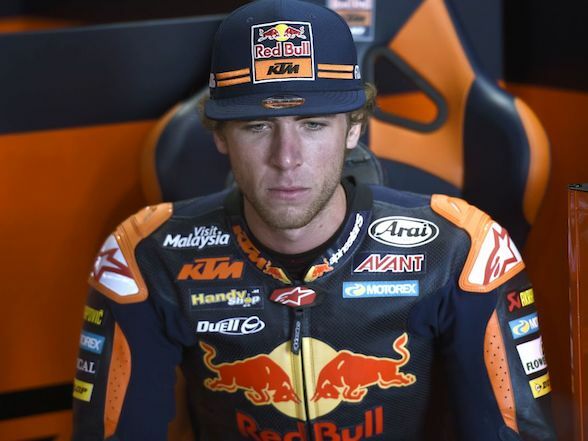 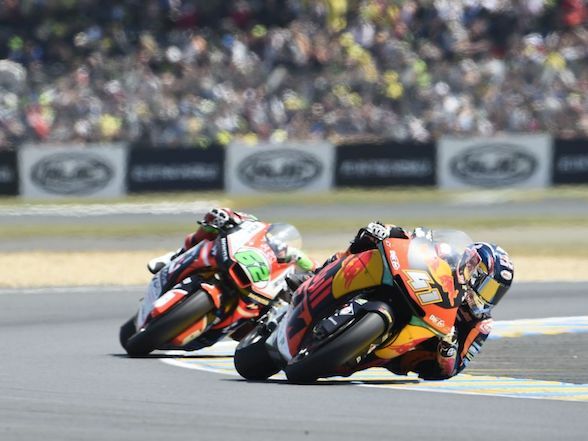 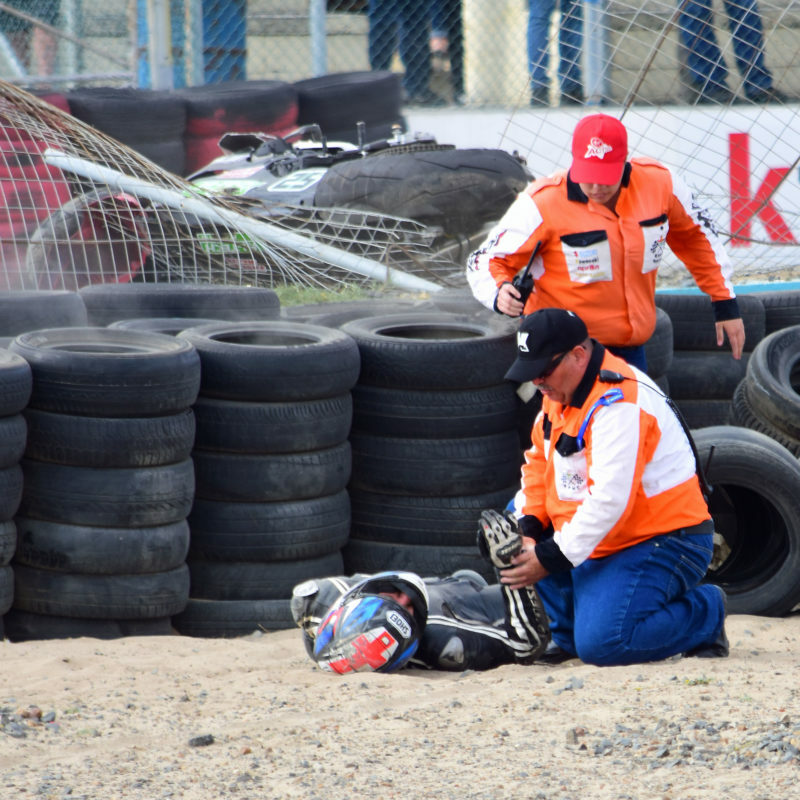 The reason for this is the nature of the turn one, that sits at the end of Killarney’s lengthy pit straight where riders have a tendency to overstep their late braking and either run off the track or simply lock up the front wheel. 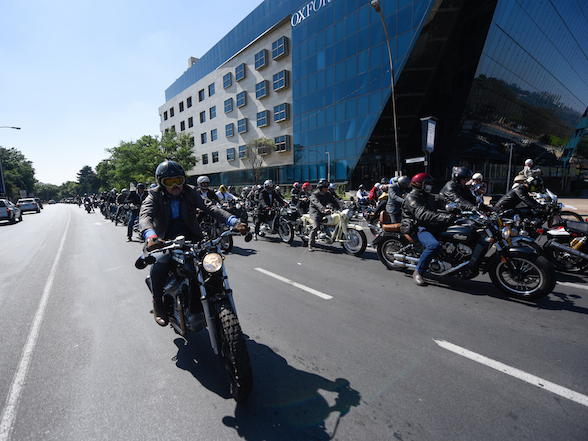 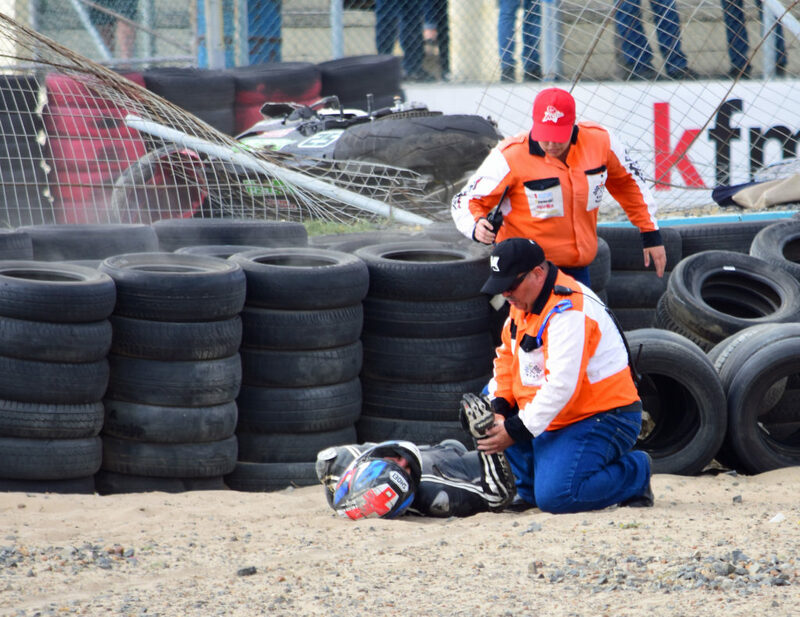 The issue with this is that the tyre wall is not too far from the track, especially when motorcycles are approaching at near 300km/h. 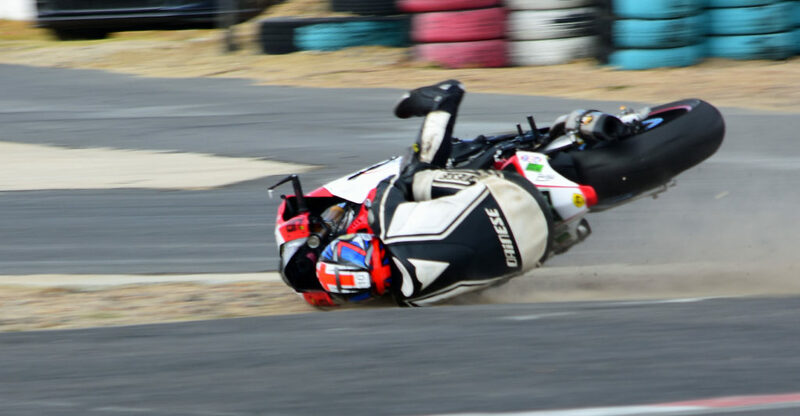 This has been a problem for Killarney ever since superbikes began doing the supersonic speeds they do. 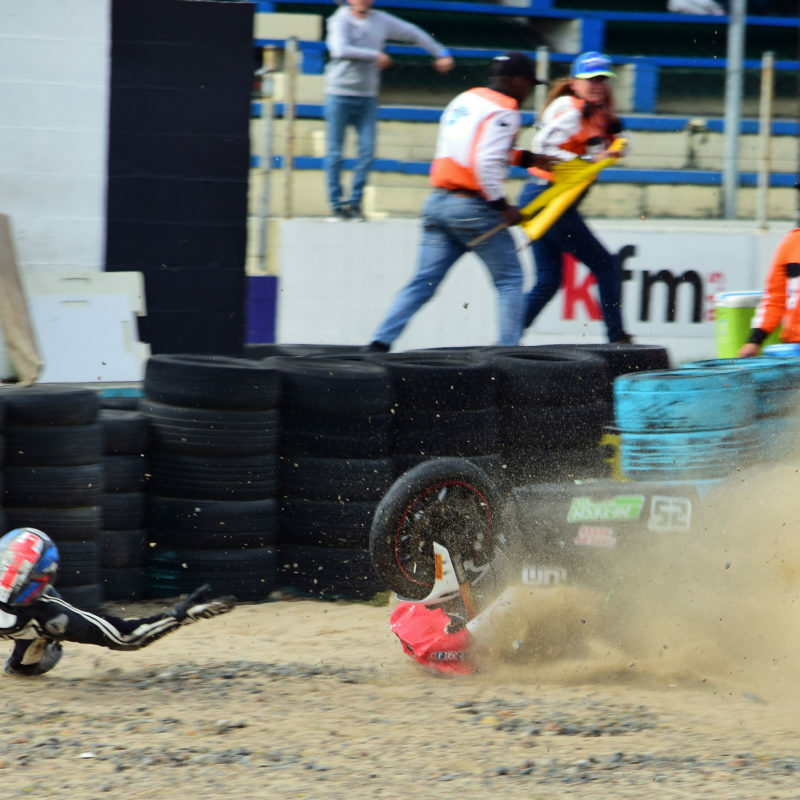 It isn’t a problem easily rectified though, as the track between turns four and five sits directly behind the tyre wall, and moving said tyre wall will somewhat inconvenience riders on this section. 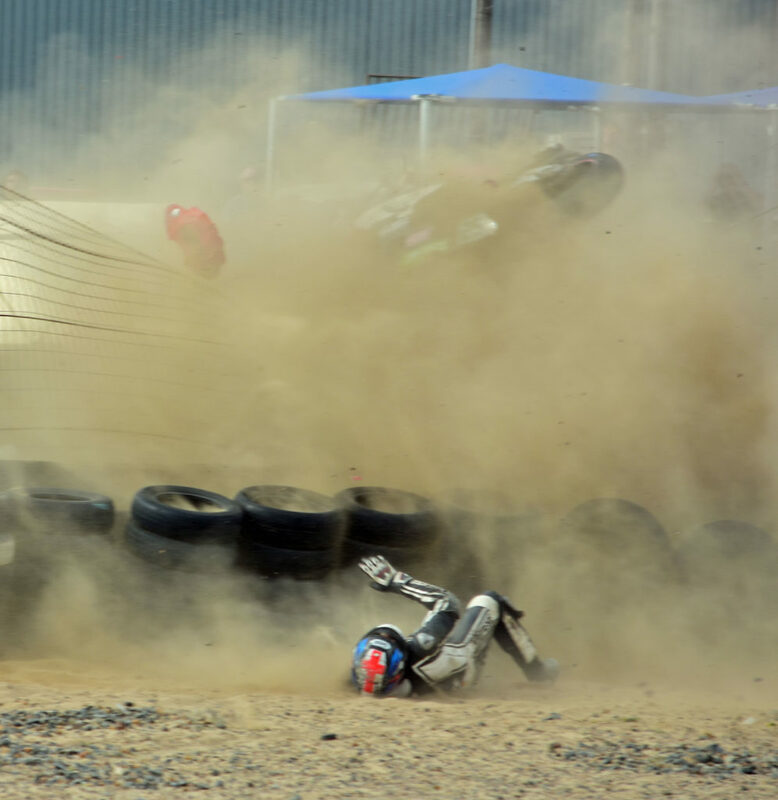 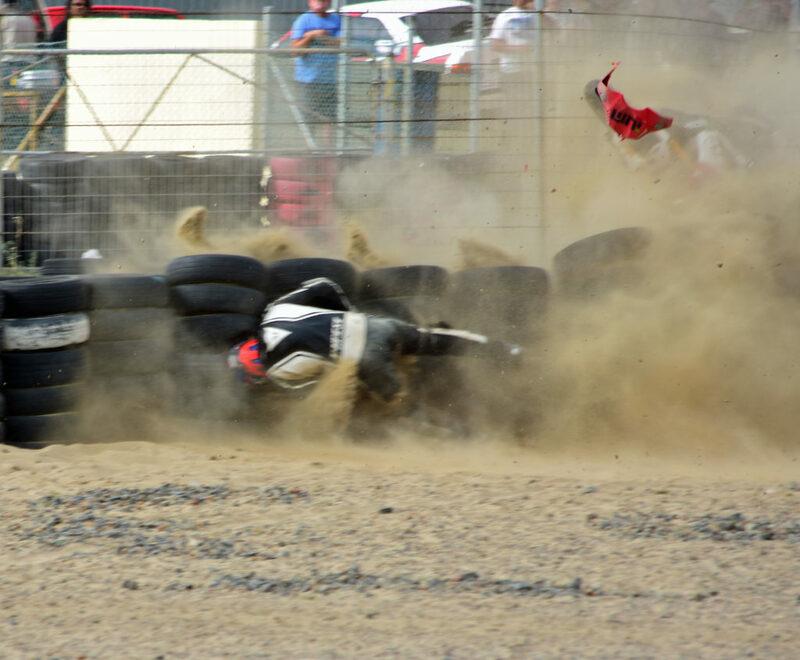 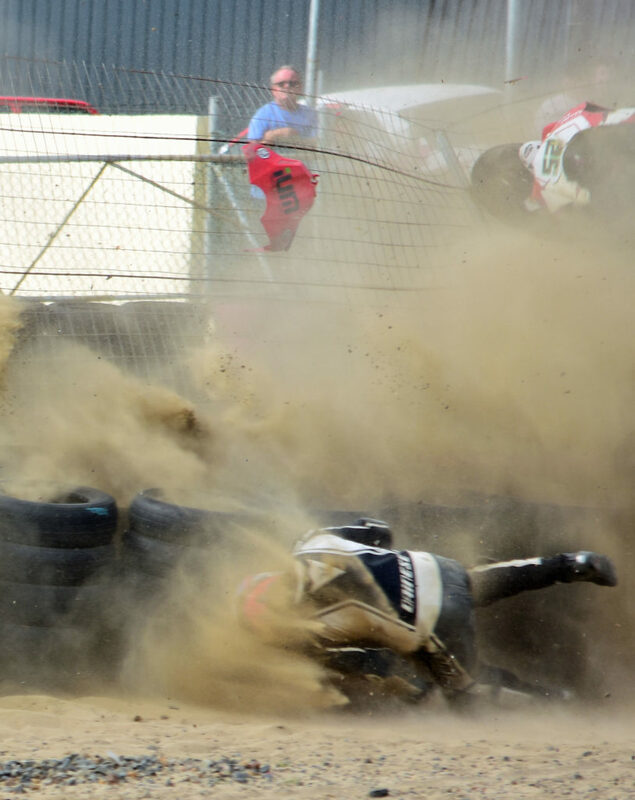 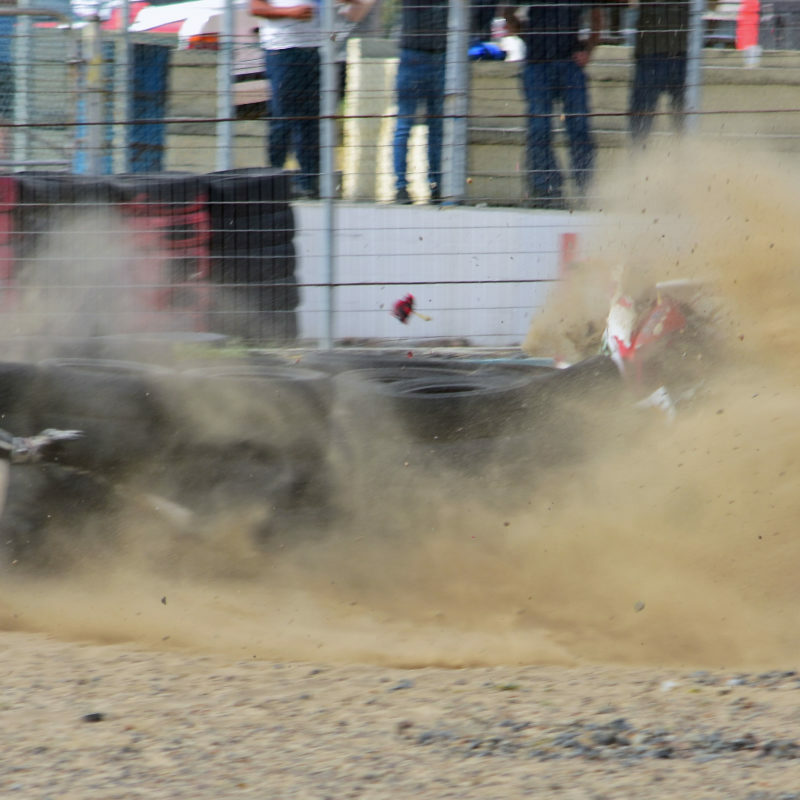 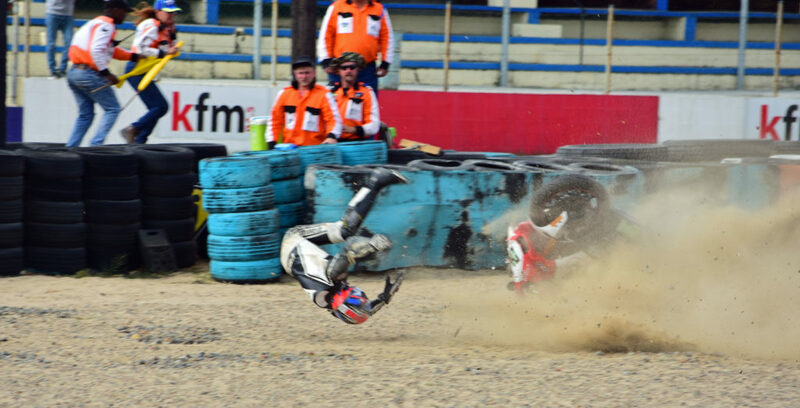 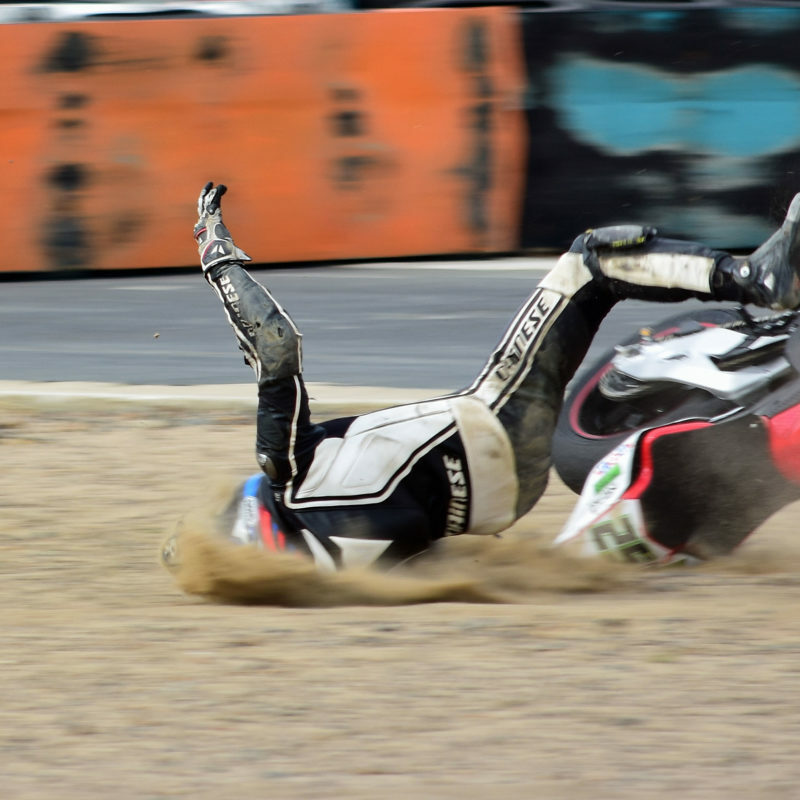 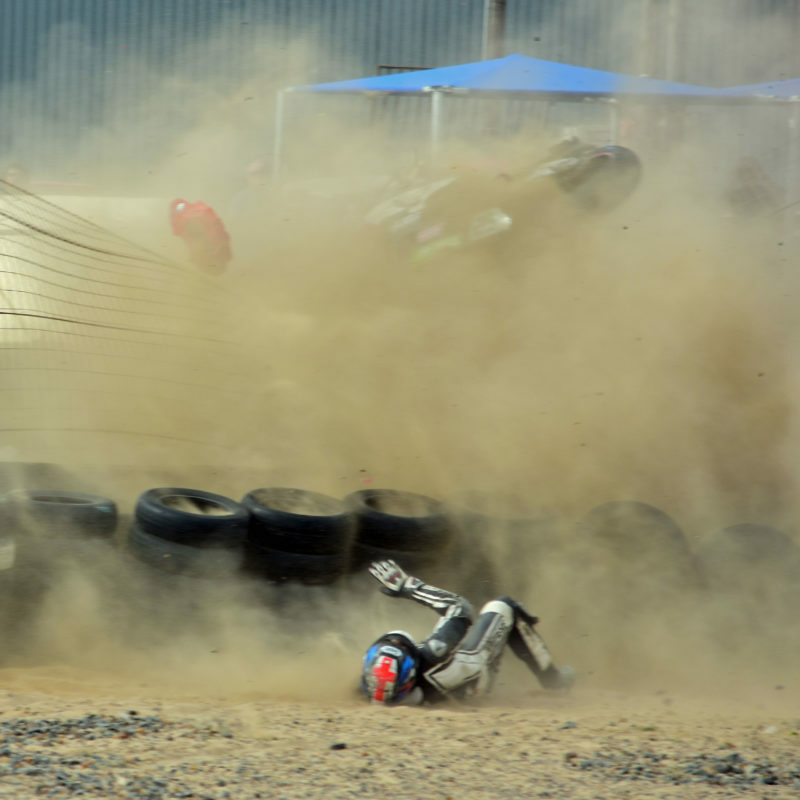 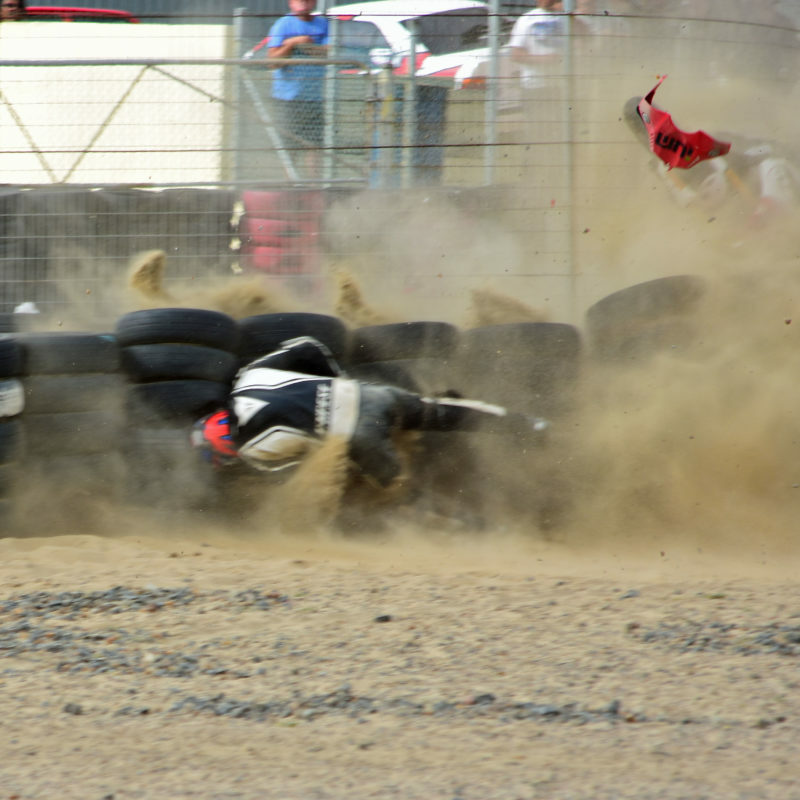 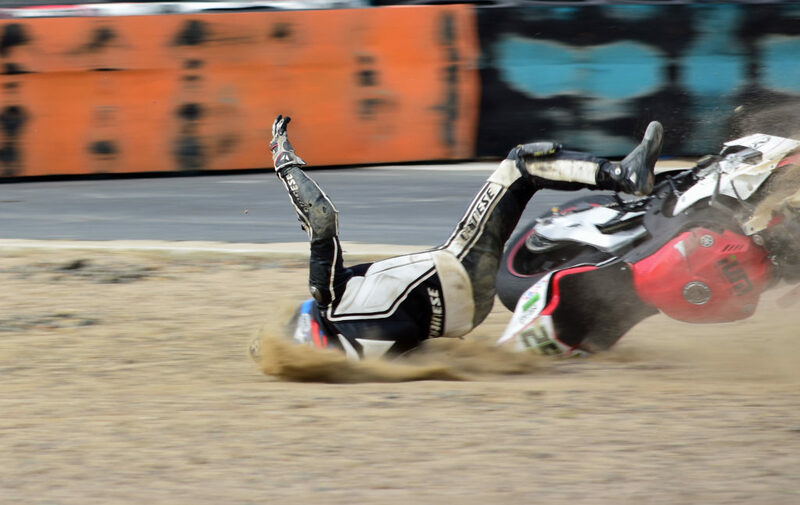 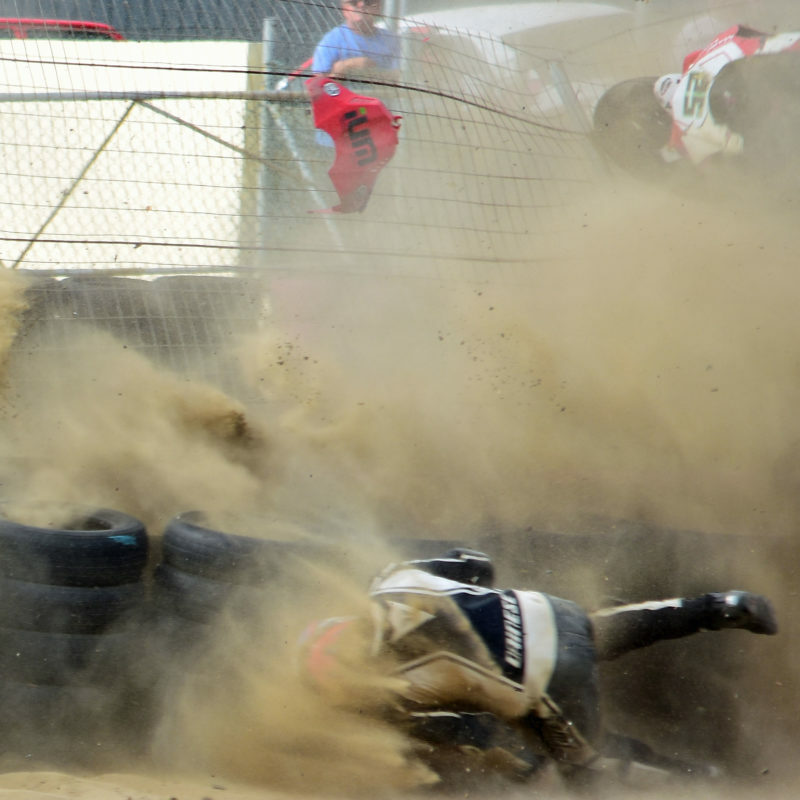 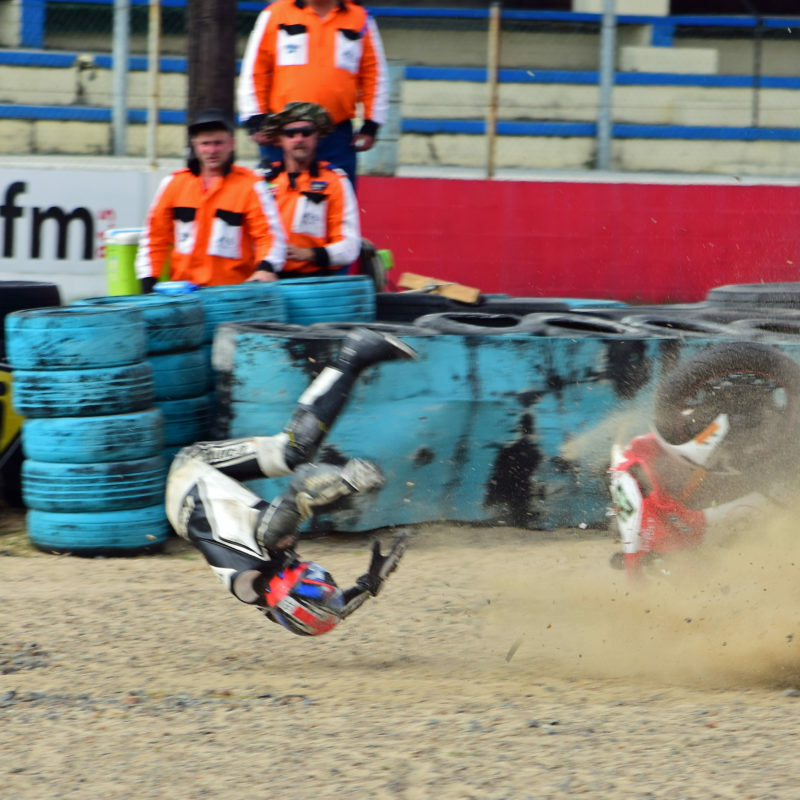 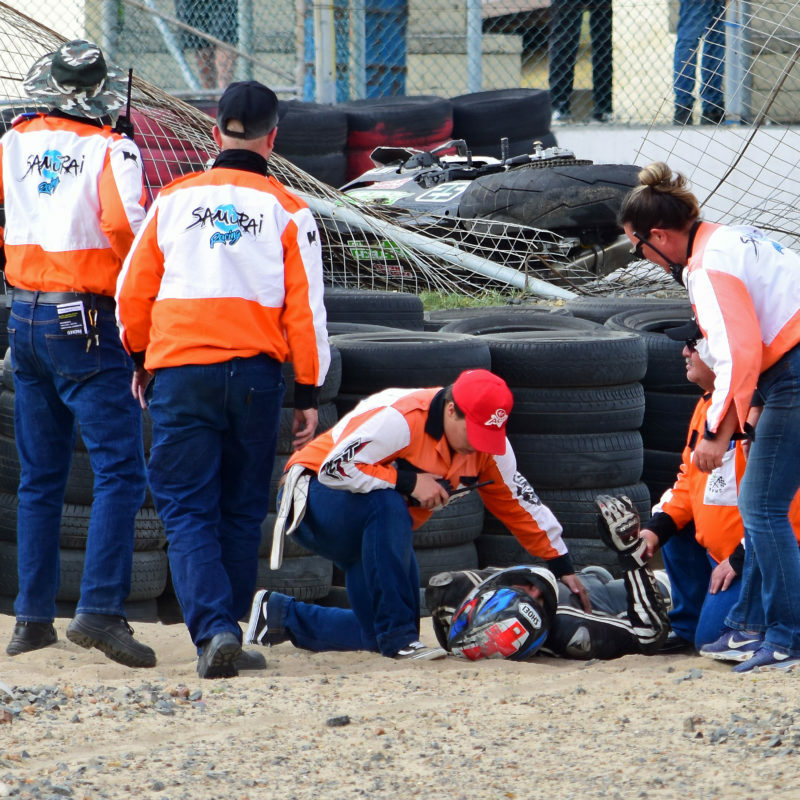 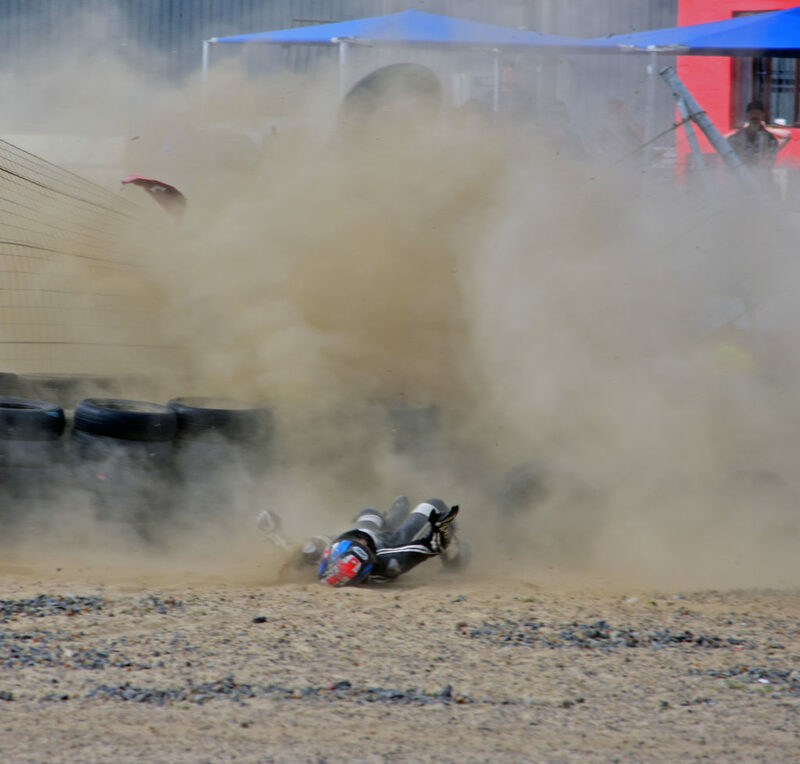 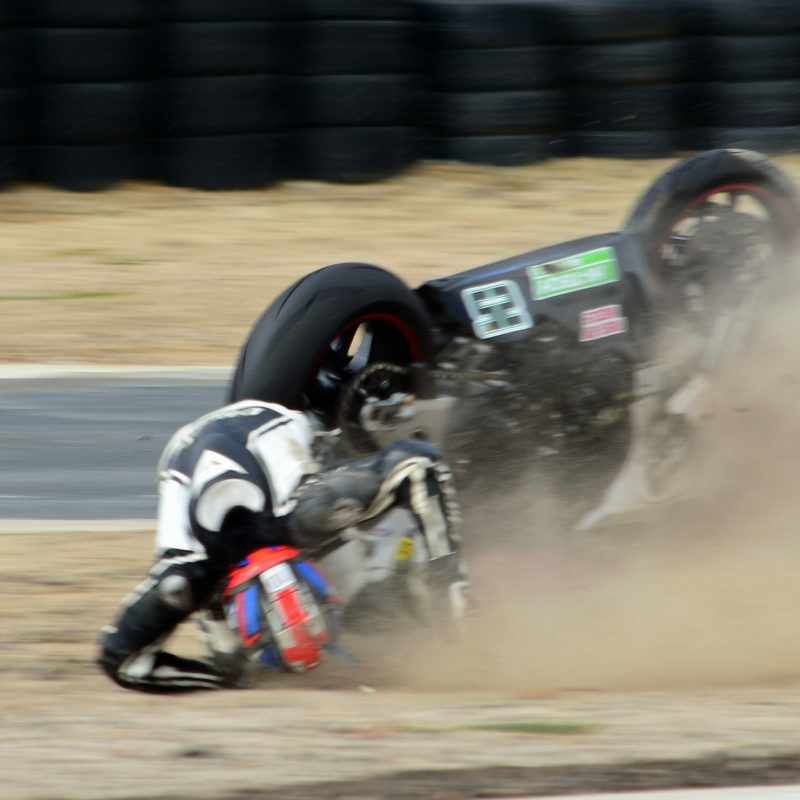 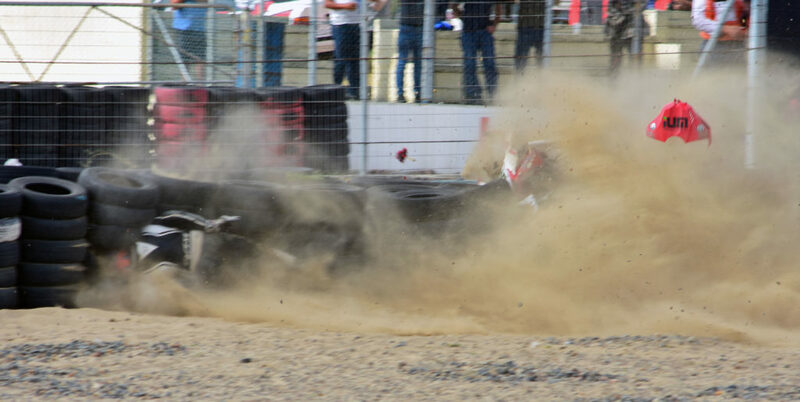 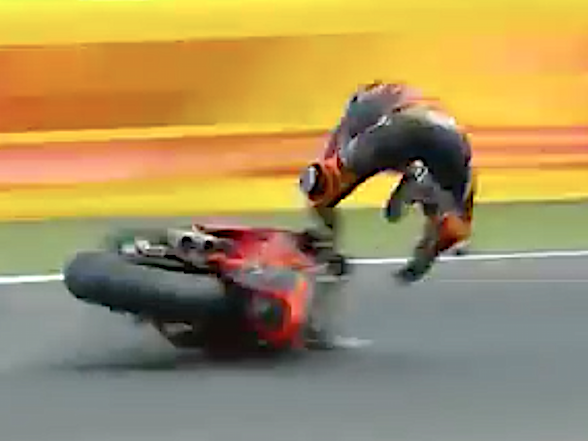 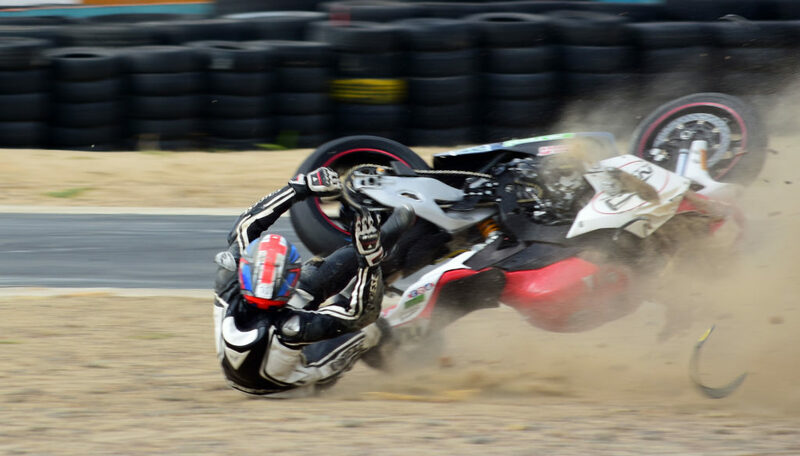 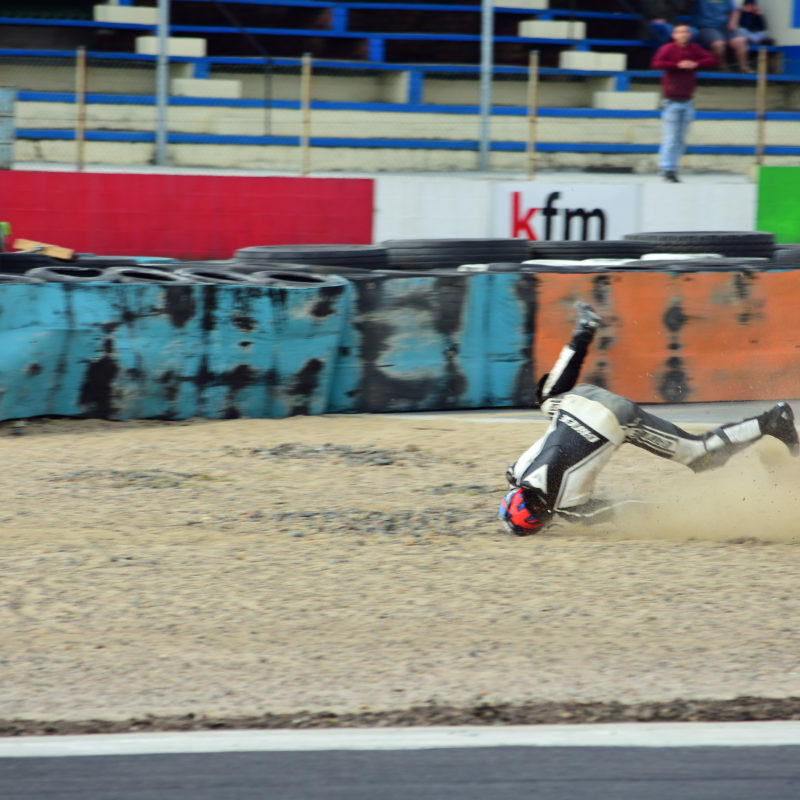 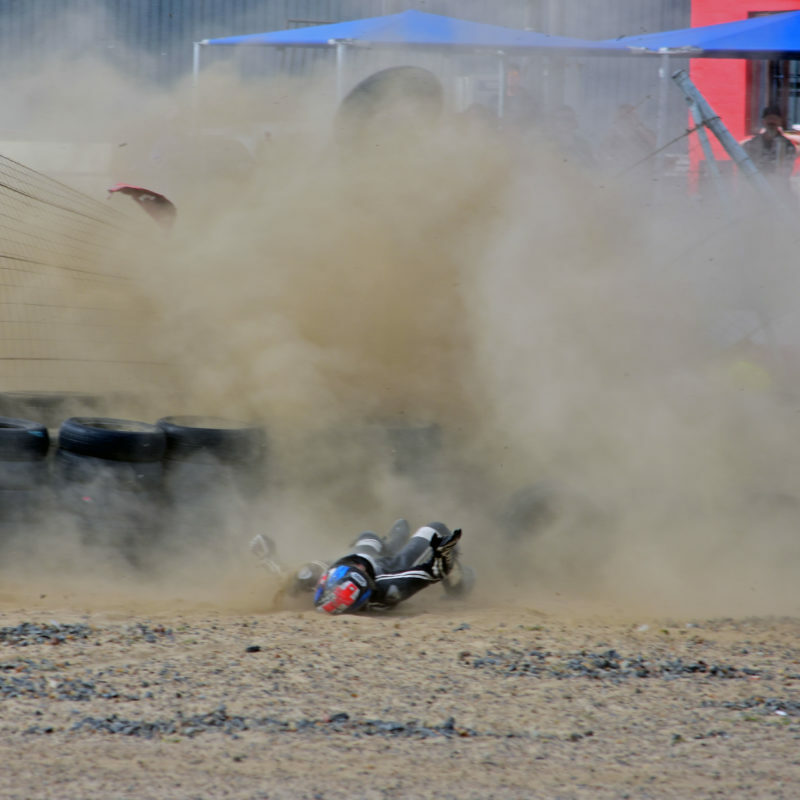 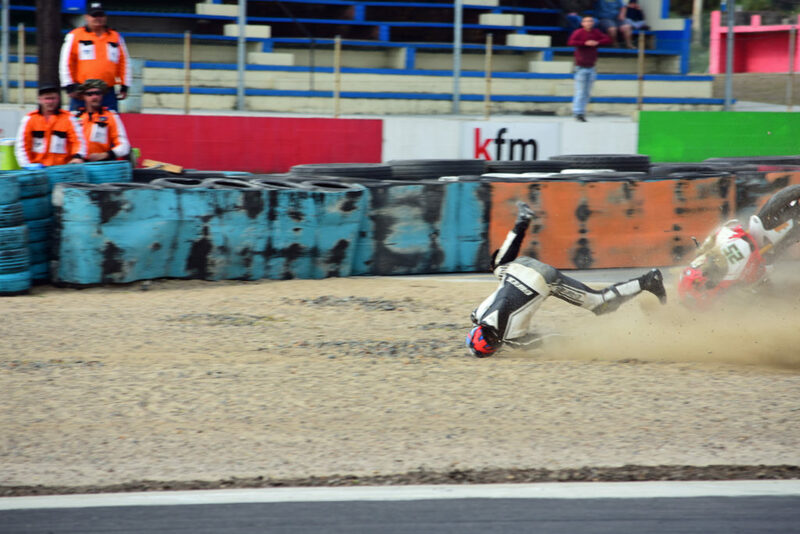 Geldenhuys felt this lack of run-off first hand in this crash, hitting the tyre wall with quite a thud before lying in the gravel trap for some time. 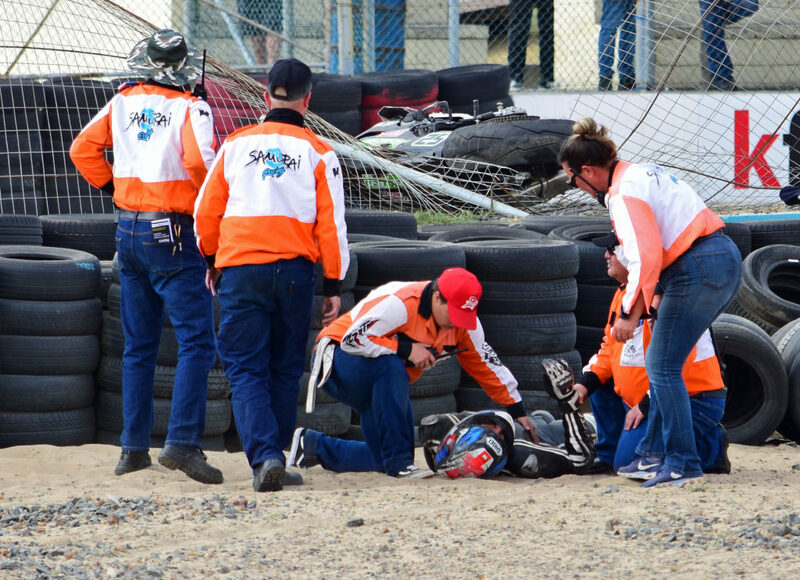 According to reports, he eventually did stand up, and went to hospital for checks where they thankfully found nothing serious wrong. 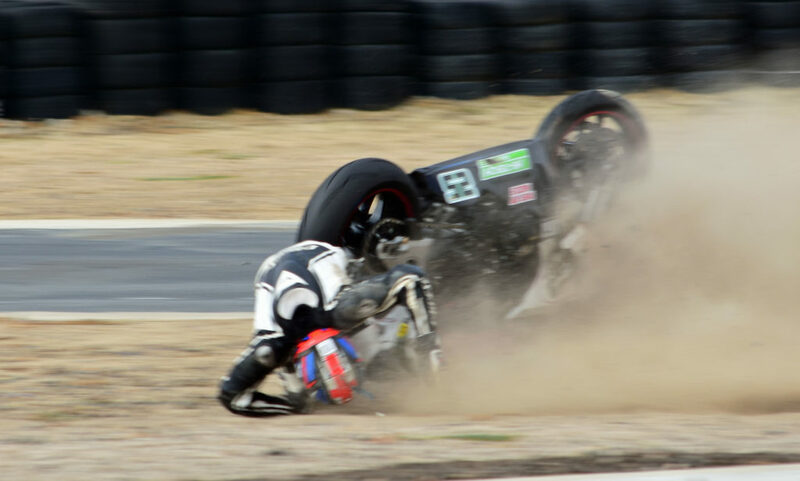 Usual winner Clint Seller won the first race on his King Price Extreme/Bikefin Yamaha R1 while local man David McFadden won race two on his RPM Centre/Stunt SA Kawasaki ZX10R.